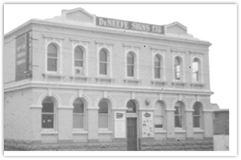 Established in 1926, De Neefe, a subsidiary company of Traffic Technologies Ltd, is one of Australia’s largest manufacturers of fixed metal directional and instructional traffic signs. De Neefe has operations in every State of Australia, with the main production facility located in Melbourne and Norsign, a division of De Neefe, located in the Northern Territory and Sunny Signs located in Perth. De Neefe manufactures a wide range of traffic control products, vests, brackets, cones and bollards, as well as corporate signage for both Government and private sectors. We also provide sign installation and computer assessment of Local Government Signage. Bob Panich Traffic has been committed to finding new solutions and is currently involved in further developments including traffic signals using the latest LED technology and has a Quality Management System certified to ISO9001.Bob Panich Traffic produces and supplies an extensive range of traffic signal equipment to meet the current Australian Standard. 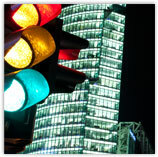 Products include traffic signals, push buttons and lanterns, audio tactile driver units, push buttons and target boards to State governments and road construction companies. Bob Panich Traffic places special emphasis on production of Audio/Tactile Pedestrian Systems to aid audio/visually impaired pedestrians. Equipment is supplied to all states of Australia as well as to countries overseas, including New Zealand, the Philippines, Hong Kong, Macao and Singapore. 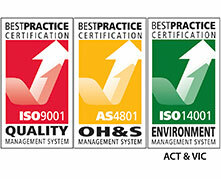 Bob Panich Traffic has been committed to finding new solutions and is currently involved in further developments including traffic signals using the latest LED technology and has a Quality Management System certified to ISO9001. Bob Panich Traffic has been part of De Neefe Pty Ltd, a subsidiary company of the ASX listed company, Traffic Technologies Ltd, since November 2012.